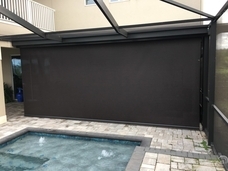 You have options to add shade and privacy to your screen enclosure. You can even add a motorized retractable screen to open it up! We are proud to say all of the photos we show throughout our entire website are our customers.